There is nothing more satisfying as a parent then watching the amazement and astonishment appear on a child's face when they are watching a magic show. The whole idea of seeing things vanish, appear, change shape or color right before their eyes is something every child should experience in life. Magic brings a sense of wonder and imagination that makes life interesting and fun. There are many different types of magicians and most of them are experts in their study creating mystifying tricks and mind boggling puzzles that even we as grown ups cant quite wrap our heads around. One of the greatest ways to enjoy a magic show is at a party or event that you can invite all your friends and family to, this is the best way to create lasting memories with the ones you love. If you need a magic show that is certain to keep you kids entertained, and badly fool both children and adults, Julian is the entertainer for you. He has been performing magic at kid's parties for roughly five years and has studied magic for about 11. 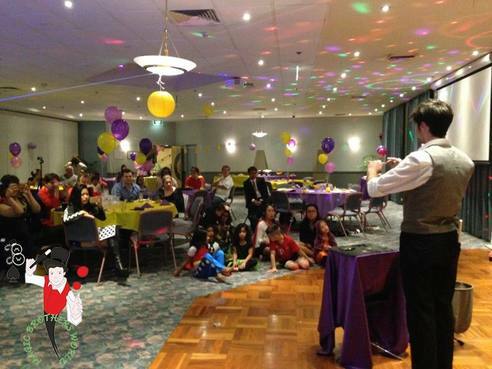 Julian Bull is a kids magician in Sydney who can bring the life to your party and put smiles on faces. 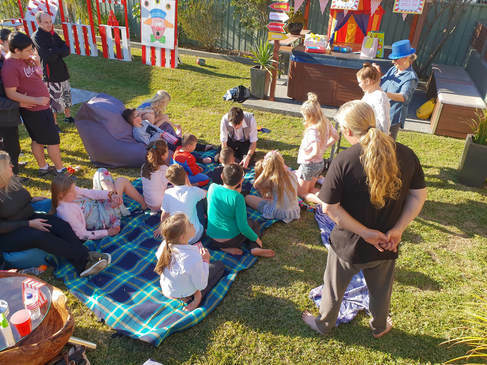 These are the stories that every child wants to tell with their classmates and they will when you bring them the magical talent of Julian Bull!